Right now I am in the midst of soccer season, which currently means practice three days a week oh and Scouts on Tuesdays, so unless I want to resign to eating fast food for the next three months, which I don't, I need to put my slow cooker to work. 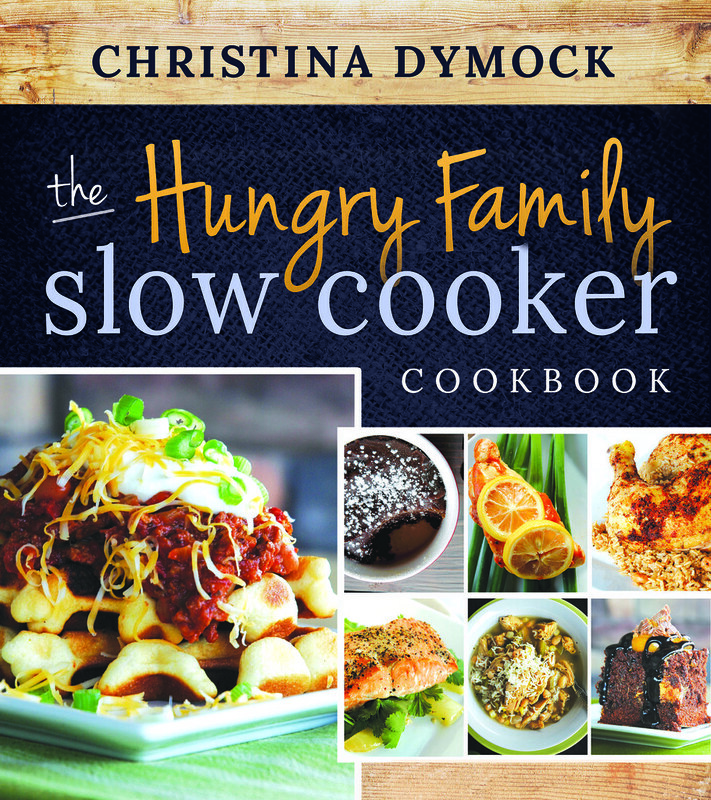 So when Christina Dymock asked if I would like to review her new cookbook The Hungry Family Slow Cooker Cookbook, I happily agreed. The cookbook begins with general information and tips about cooking with a slow cooker and then is divided by meat type, then sides, soups and stews, then desserts. The recipes all seem simple, not a lot of ingredients and all utilize the slow cooker. There is even a recipe for Ball Park Burritos which you make already individually wrapped in aluminum foil, so they are ready to transport to eat at the ball park between games or practices. I decided to try the Pulled Pork Roast Sandwiches, which Christina so generously agreed for me to share the recipe. Place the roast in a 4-quart slow cooker. In a small mixing bowl, combine the barbecue sauce, ketchup, brown sugar, and vinegar. Pour the sauce over the meat. Cover and cook on low for 6 hours. Take the roast out of the slow cooker. Use two forks to shred the meat into a serving bowl. Add 1-2 cups of juices from the slow cooker and mix well. Spoon over hamburger buns to serve. My review: So I totally forgot that 1+6=7 and was trying to start this recipe way too late, so instead I ended up cooking it on high for 3 hours. It was still tender but I think the 6 on low would have been better. I actually also just put the meat on the sandwiches and then spooned the sauce over the meat, but her way would have been easier. Even with all my little blunders we all still really liked it, even all three of my kids! They even ate it all as a burger to, didn't have to have everything separate like they sometimes do. So this recipe is definitely a win and will make it again. I will definitely be utilizing this cook book a lot. My one complaint, is that while it does tell the cooking time, it doesn't tell the prep-time. Most of the recipes the prep time is so minimal that it does not matter, but I did notice one recipe that you need to cook bacon first, so just make sure you read over the recipe so you know how much prep time is needed. **If you live in Utah, there is going to be book launch party at the Deseret Book in Draper on March 27th from 6-8 PM where you will get a free recipe just for coming in and can enter to win a slow cooker! Disclaimer: I was given a copy of this cook book to review, all feelings and opinions are my own and truthful. I love using my slow cooker! I use a book called: Six Ingredients Or Less For Slow Cookers and I've made nearly every recipe in it now. My favorite BBQ sauce for pulled pork is Jack Daniels - if you make this one again you should try that one! They even sell it here in the UK! Oh that does sound good! Sounds like a great cookbook that you use too. It really is so easy to use the slow cooker and the food almost always turns out really good so I don’t know why I don’t use it more. Love this easy recipe. Yum! Thank you for the review! Good luck with soccer season! Thank you so much and thank you for letting me review your cook book. It was good and so easy too. That looks yummy! 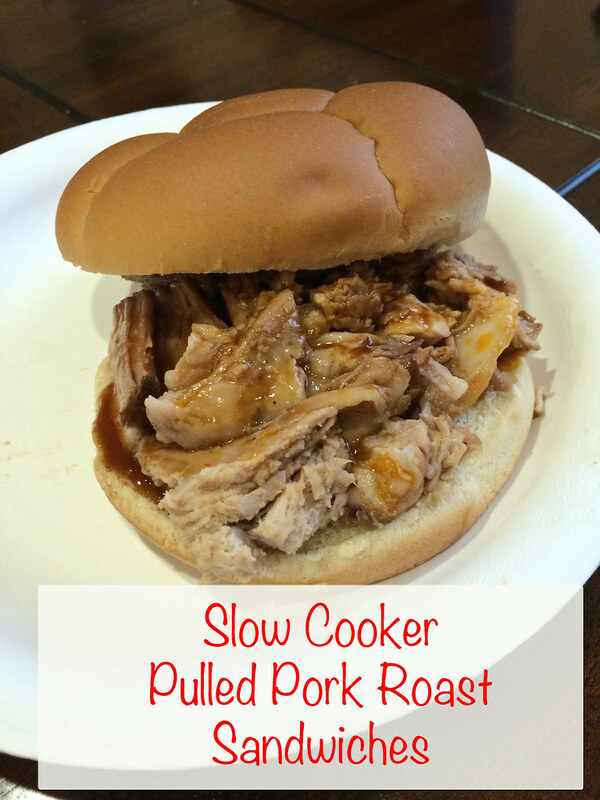 I love BBQ and have been meaning to pull out my slow cooker more. I'm bad about getting things started on time too so it's nice to know that I can do the 3 hours on high if needed! Yep, it did work.. I seriously remembered it too, I just for some reason when doing the math in my head thought it could be done by 6:30 if I started it at 1. Ooops sorry ;) I started reviewing books for Cedar Fort Publishing, I honestly can’t remember how with the first one, but they are always looking for bloggers to be part of blog tours for their upcoming books. So maybe go to a publishing site you like and see if there are blog book tours.